I am furious with another set of parents. My 16-year-old daughter has recently told her mother and me that she is pregnant. It happened at a party that was not well-supervised, and there was alcohol involved. The boy involved and his family are owning up to their share of the responsibility, but the owners of the house are absolutely infuriating me. They need to admit their share of this burden, as it was their booze and their house party that allowed this to happen. My family is going to have a lot of expenses due to this new baby, and I don’t know how much the boy’s family can help, so it seems that the party’s host should help out, again as it was on their watch that this happened. So far, that family has ignored me when I have tried to speak with them about this. I am ready to call a lawyer to press the issue, but my wife thinks I am overreacting. What do you think? I understand your concern other than the usual responsible discussions regarding all your family options you have brought up an unexplored area for new tort reform. You may want to advise the owners of the house party to get supplemental homeowners insurance in the form of an additional rider policy with raincoat coverage for teenage slips and falls. 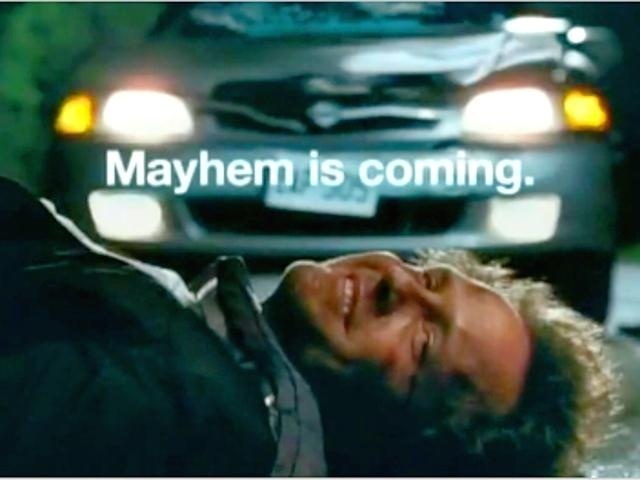 Because you never know when Mayhem is coming.. This entry was posted on October 8, 2013 at 7:46 am and is filed under Uncategorized. You can follow any responses to this entry through the RSS 2.0 feed. You can leave a response, or trackback from your own site.